This machine comes complete with head, energy direct drive internal motor, wheel stand, table and cotton stand. Commitment to “seam quality” is poised to enter a new era with JUKI’s next-generation sewing system. The change is driven by digitalization. Until recently, sewing machines have been adjusted by human operators based on personal hunches and experience. Now, with JUKI's digital sewing system DDL-9000C, sewing machine adjustments are fully digitalized. 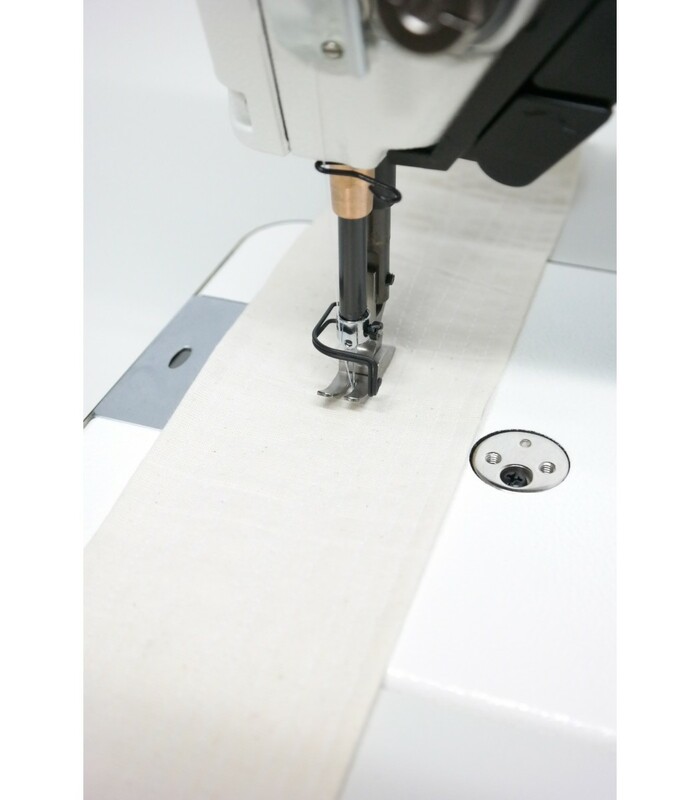 The settings can be reproduced with total accuracy to perfectly suit the materials being sewn. Vertically- and horizontally-driven digital feed mechanism World first. Thanks to the world's first vertically-driven digital feed mechanism, the feed dog height can be adjusted with ease according to the material fabric of product to be sewn, thereby improving seam quality. The feed dog does not protrude the top surface of throat plate when the sewing machine stops with its needle bar up, thereby facilitating placement/removal of the material on/from the top surface of throat plate and preventing the material from being damaged by the feed dog. Various kinds of feed locus can be selected. Digitalized vertically- and horizontally-driven feed mechanism allows easy adjustment of settings such as the feed locus only on the operation panel according to the material to be sewn. Needle thread tension which matches sewing conditions can be set on the operation panel and stored in memory. The needle thread tension adjustment needs experience. However, for this sewing machine, thread tension data stored in memory is reproducible, thereby reducing the setup time when the product to be sewn is changed. Digital control system controls the presser foot pressure. When the multi-layered section detection function detects changes in material thickness, the needle thread tension, presser foot pressure, pitch, feed locus and feed dog height can be all automatically changed to link their adjustments appropriately. The adjustments can be changed manually at an arbitrary timing with the hand switch. Double-edge driven rotary knife system is adopted. The double edges of the knife intersect with each other directly under the needle entry point to trim the thread. In addition, thanks to the digital feed mechanism, thread trimming is carried out with the feed dog lowered in the case the shorter-thread remaining thread trimming function is enabled. 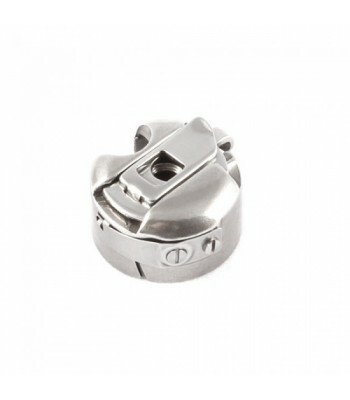 As a result, the clearance provided between the throat plate and the material is eliminated, thereby stabilizing the length of thread remaining after thread trimming. Data items of sewing can be numerically managed to ensure "stable quality" and "reduction in time required for setup changes". In addition, installation of NFC※1 enables data transfer to an Android tablet. Data transferred from the sewing machine to an Android tablet can be edited on the tablet.※2 This enables quick check for uniform settings as well as confirmation of conditions of sewing machines in a sewing line, thereby facilitating setup changes. The setting data from the sewing machine to an Android tablet can be edited on the tablet. The operation panel is also provided as standard with a USB port. Data management and software update can be carried out with ease using a USB thumb drive. 1. 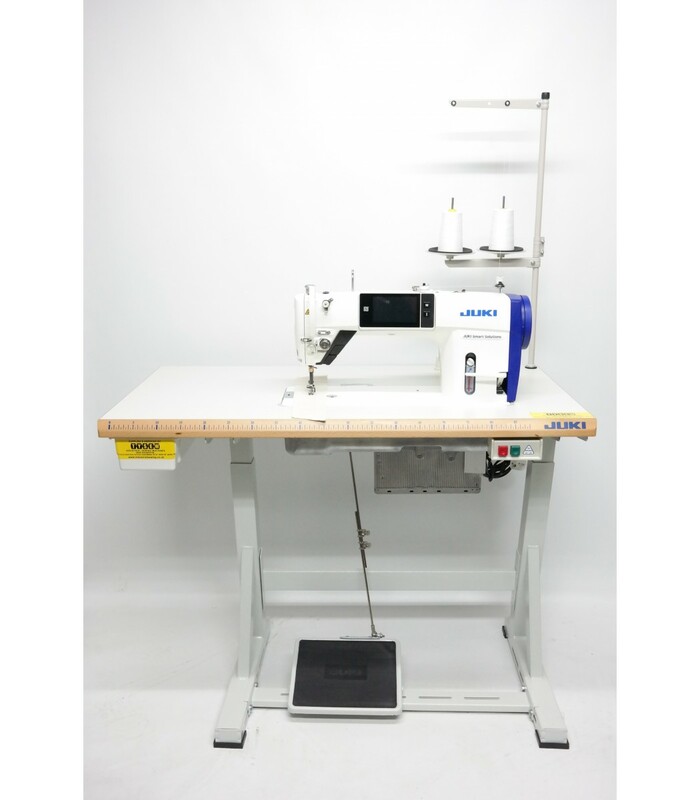 The sewing machine can be paired with equipment which supports NFC (Near Field Communication) only by holding the equipment over the sewing machine. 2. Android OS Version 6.0 is recommended to use JUKI Smart APP. (Operation is confirmed with respect to Versions 5.0 and later.) Contact JUKI distributor in your area for how to use the application software. Adoption of a 4.3-inch large color liquid crystal touch panel ensures easy operation. The touch panel is provided with JUKI's unique intelligent sewing system features. Functions of two hand switches can be set through the operation panel. 20 different functions (needle-up/down correction sewing, reverse-feed correction sewing, 1-time reverse-feed stitching cancellation function, etc.) are available. Highly convenient operation is enabled by setting the functions which match the sewing process in combination. The hand switches have been factory-assigned respectively with A "Touch-back switch" and B "Custom switch (to be set by the customer)" at the time of shipment. The customer may assign other functions to these two hand switches. Newly-developed auto-lifter function coming with a stepping motor reduces the operation noise. 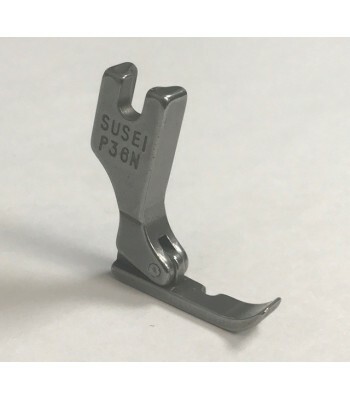 Thanks to the adoption of stepping motor, the presser foot can be lifted up in two steps by pressing the back part of the foot panel. 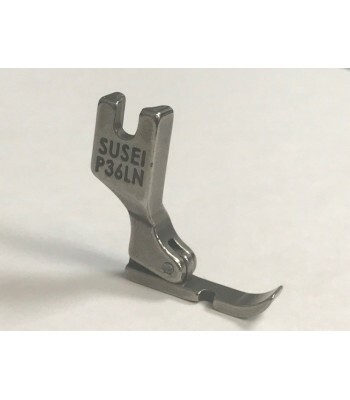 (1st step: max.8.5mm / 2nd step: max.13.5mm) By changing the setting, the presser foot can be raised and lowered linearly linked with the quantity of pressing the back part of the foot pedal.